The Food Standards Agency’s Food Hygiene Rating Scheme is very much recognised in the UK, giving information and often determining if you’ll visit one food outlet against another. 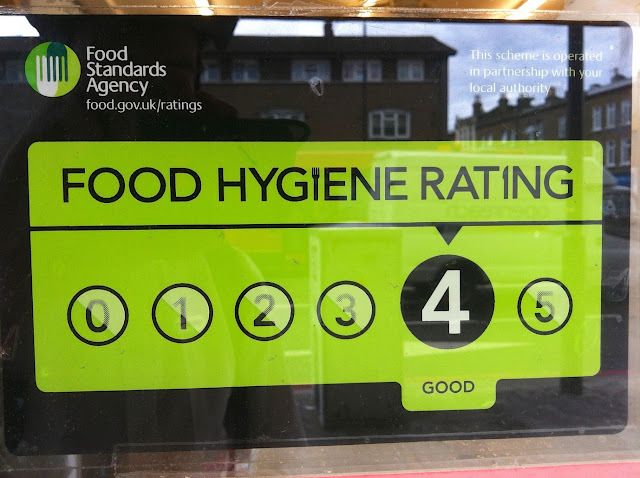 The scheme rates food hygiene in a number of areas, ranking the outlet from 0-5, 0 being the worst with serious improvement necessary, and 5 being the top-spot with flawless hygiene standards. The rankings are awarded after an inspection, which is often carried out without notice. This means the food establishment has no time to prepare or perform a deep clean, making the inspection and results of it, accurate and representative of the general standards. Inspections occur routinely, with variation depending on the establishment. They can also occur due to a complaint about the premises. There can be months or even years between inspections, however the British Hospitality Association (BHA) have welcomed a change, in that food and drink outlets are able to request a re-inspection sooner than routine. This means outlets which receive low scores are able to potentially raise their score after making improvements, without waiting months or years. The new rules added to the Food Hygiene Rating Scheme, as reported by Big Hospitality, require outlets to pay a fee if they request an advanced re-inspection, likely to be immediately The Association of Licensed Multiple Retailers (ALMR) warns that fees should be kept voluntary however, and only apply to requested re-inspections. However with the requested re-inspection, the results may not be as valid a representation of standards as outlets expect the inspection, as opposed to the routinely inspections which catch outlets off-guard, where preparation is non-existent. Yet these are follow-up inspections to the original, and so provide a legitimate opportunity for companies to make necessary improvements, and boost business when rewarded with a (hopefully) improved score. This new scheme adds fairness to the scheme in allowing the establishments to redeem themselves, instead of being lumbered with a low score for longer than necessary, even after improvements have been made.